The third letter written at the beginning of John’s Revelation was written to the Church at Pergamum. Pergamum was located north of Smyrna, still in what is present day Turkey. We know that Pergamum was a city that was heavily pagan. Jesus says to them, “I know where you dwell, where Satan’s throne is;” (Revelation 2:13, NASB). While the church has apparently done a great job at continuing to proclaim Christ, despite their environment, yet Jesus still had a grievance with them. This church allowed “Christians” to still practice their non-Christian practices. “You tolerate some among you whose teaching is like that of Balaam, who showed Balak how to trip up the people of Israel. He taught them to sin by eating food offered to idols and by committing sexual sin.” (Revelation 2:14b, NLT). This church was allowing people to profess a faith, but then practice an entirely different way of living. How does this apply to us today? I think of a video that has been circling around over the past week. We are to fear God above all others. This can even mean that we have to go against society. It’s when we say “Yes” to the culture around us, and our beliefs tell us “No”, we begin to have the same problem as the Church of Pergamum. We all can think of someone that we know who attends church, professes to be a Christian, and yet do nothing beyond Sunday morning worship. These people can even attempt to do Christian behaviors, but do it for the wrong reasons (i.e. donating to charity for the tax credit, caring for the poor so they look good, etc.). But our faith is a lifestyle. It requires a change in us. In Acts 9, Saul was traveling down a road to hunt down and kill more Christians (he had already done this quite a bit). Then there was a flash of light and Jesus was standing in front of him saying, “Saul, Saul, why are you persecuting me?” After that encounter, and the following encounter between him and Ananias in Damascus, Saul was a changed man and began professing the very faith he was trying to hunt down and kill. He even went to the extreme of a name change! (Saul = Paul). When we have met Christ, we cannot continue in our old ways. That is the problem of Pergamum. They had accepted Christ, and made sure to proclaim him to all people. But they failed at allowing their faith to change their lives. Some of them had, but there were still others that knew of Christ, yet didn’t want him to change their lives. That’s what we can learn from our friends at Pergamum. Let Jesus into your heart today, and allow him to change you. I promise, it is only for the good, never for the bad. So I was really trying to figure out what to start writing about. I felt another series coming on, but didn’t know what to do, then God spoke to me. 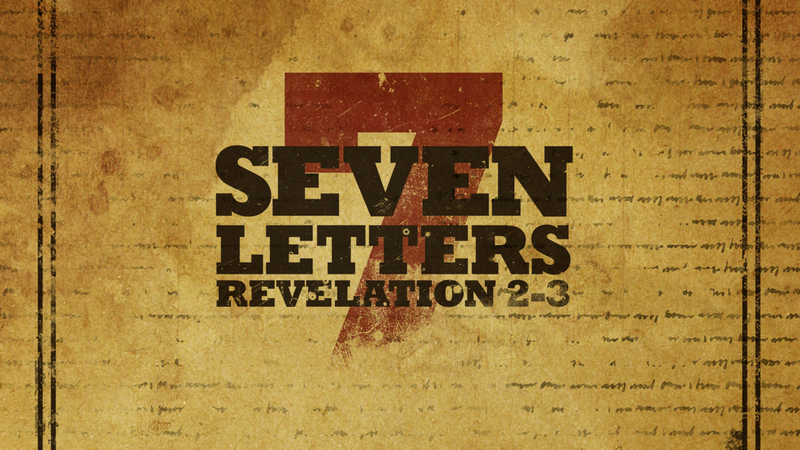 For the next few days, we will be reading a letter to one of the Churches found in Revelation 2-3. Don’t worry, this isn’t an “End of the World” series (people always seem to think that when you mention Revelation). We are seeking to find what God has to say for us today in his messages to the seven Churches. The first letter sent out went to Ephesus. This is the same church that Paul wrote his letter to the Ephesians to. This message, however, is coming several years after Paul’s writing. John writes these letters, under the prompting of Jesus/Holy Spirit, in order to address an issue found within the Church. For the Ephesians Jesus says, “But I have this against you, that you have left your first love. Therefore remember from where you have fallen, and repent and do the deeds you did at first; or else I am coming to you and will remove you lampstand out of its place — unless you repent.” (Revelation 2:4-5, NASB). I find this statement from Jesus rather curious in light of the way Paul in his letter to them, “Grace be with all those who love our Lord Jesus Christ with incorruptible love.” (Ephesians 6:24 NASB). So how did this church leave its first love? I believe that this Church got to busy being a Church that they forgot what brought them together in the first place, Jesus Christ. Jesus tells them that it is good that they test apostles to find out if they are real and that they had the evil deeds of the Nicolaitans. But all of this is irrelevant if Christ doesn’t remain in the central position. I feel that many churches today get in this same “rut”. It’s easy to do. The biggest symptom and easiest way to tell if this is happening to you is when asked the question “Why do you do that?”, the response is “Cause we’ve always done it this way”. When the church becomes successful, or even just programming, we don’t want to make changes for fear of losing that something special. Well friends, I’ve got news for you. Christ is that something special and if he stays in the central location for us, we won’t lose him! But don’t give up if you find yourself in the “cause we’ve always done it this way group”. The people that stand up for change need you to keep them focused as well. People who want to change have the tendency to change for changes-sake. But that isn’t helpful either. Christ didn’t come to abolish the old Law, he came to fulfill it (Matthew 5:17). The Ten Commandments are still very important to us today. They are the Law of God. Jesus came to change the way is was being enforced. So the message Jesus has for Ephesus and us, I believe, is that we cannot get stuck “doing” Church. We have to “be” the Church. We have to be sensitive to what Christ wants the Church to do, because He is the head of the church (Ephesians 5:23). Jesus will want us to do the same thing for a time, but then he may change suddenly. He often did that during his earthly ministry; just looked to the disciples and said “We’re moving on”. What is God calling you to do in your own life, and in the life of the Church? Spend some time in prayer to figure this out, because it may be a time for a change.